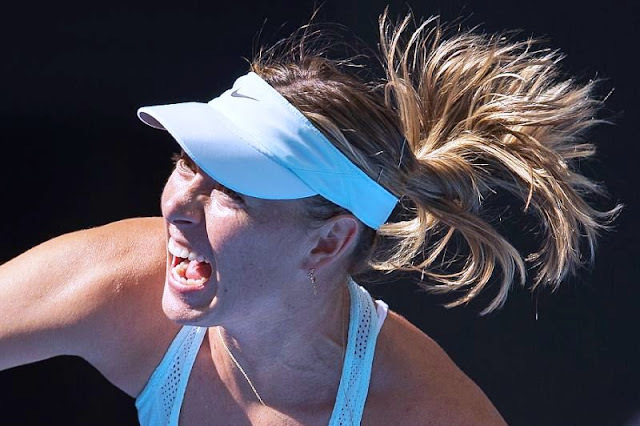 Maria Sharapova was emphatically dumped out of the China Open in the third round on Wednesday by Simona Halep, going down 6-2, 6-2 to Romania's world number two. The Russian, a former number one now languishing at 104 in the world rankings, is still searching for her first title since returning in April from a 15-month suspension for taking the banned substance meldonium. Sharapova, 30, struggled all week with her serve and she made a nightmare start as she lost the opening game to love, before breaking Halep back. Halep had never got the better of the five-time Grand Slam champion in seven previous attempts, but she began to take a grip on the match despite the crowd's vocal backing for Sharapova. Halep, the second seed on Beijing's outdoor hard courts, rammed home her superiority in the second set after again breaking Sharapova early. With world number one Garbine Muguruza exiting in the first round with a virus, the 26-year-old Halep is now favourite in the Chinese capital.